Last week, my Rotary club partnered with Ivy Tech’s Culinary School and Cap ‘n Cork to host a Wine and Wild Game Pairing Dinner fundraiser. I know what you are thinking… “wild game?” That’s what I was thinking too, yet I was also intrigued and knew I had to try it. 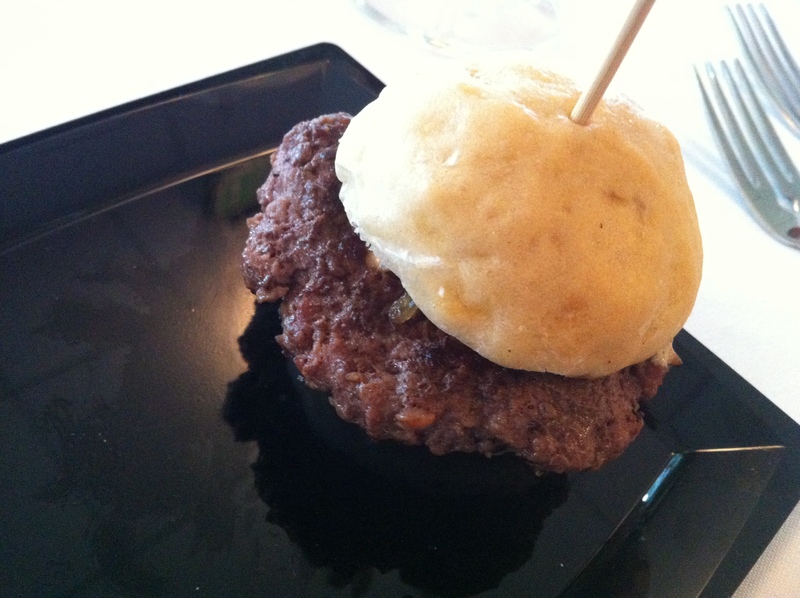 We had the pleasure of dining with the Ivy Tech Culinary School a few months ago and wrote a review for the blog. I can’t say enough for this program, its instructors and students. They really know how to put a menu together. The hummus was very good- seasoned just right. 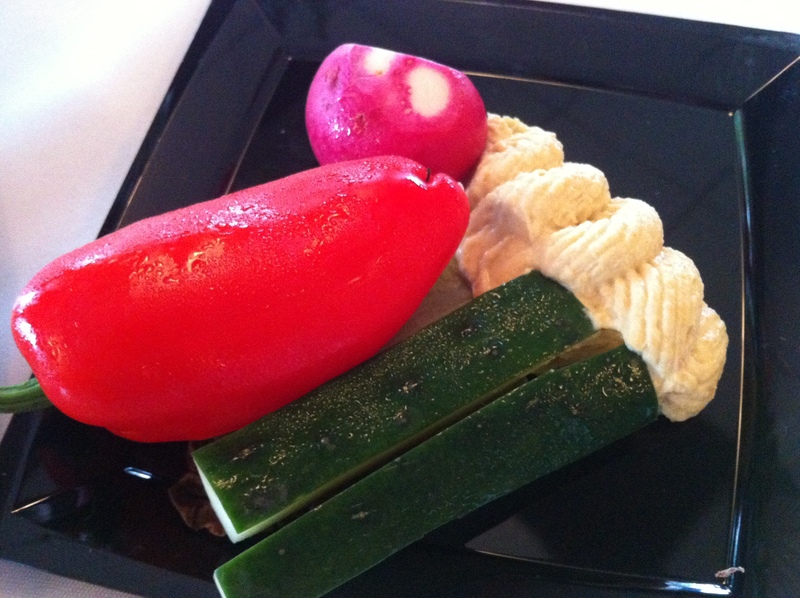 Really, how can you go wrong with fresh veggies and hummus? I’ve had bison before, so this wasn’t too much of a shock. I like the leaner taste of the meat paired with tangy marinated onions. This is one of the most unique dishes we sampled all evening. 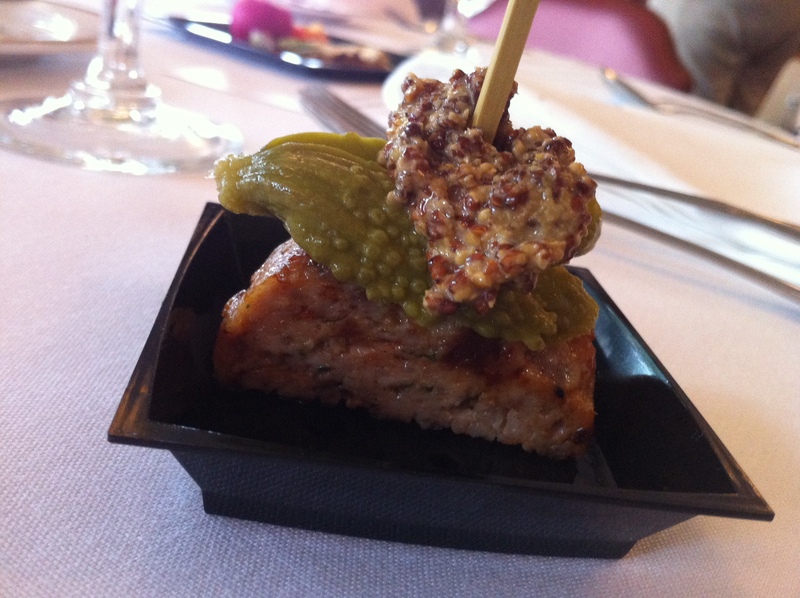 The Pheasant sausage was very tasty and it was topped with small sweet pickles and a tangy ground mustard. Very savory and surprising. 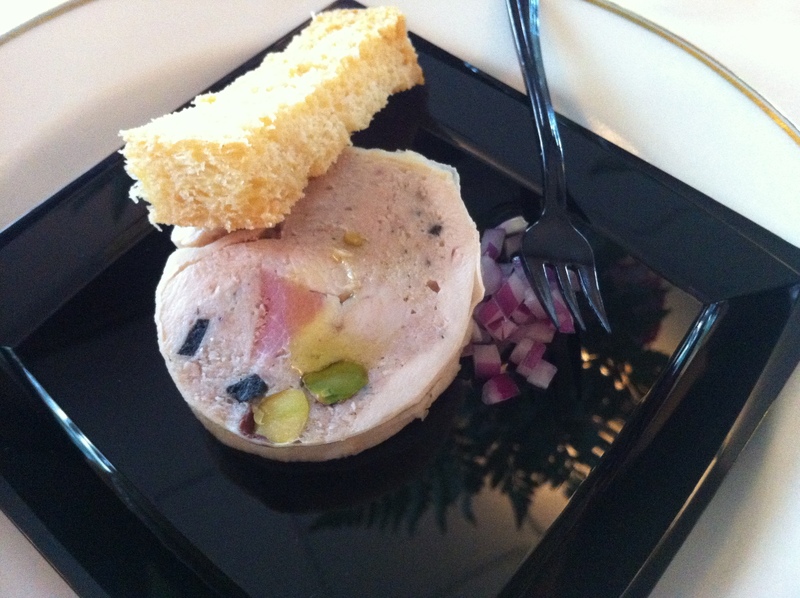 Galantines are a french dish of deboned meat, usually fish or poultry, that is poached and served cold. I wasn’t expecting it to be cold, but I enjoyed it. Light, refreshing, and simple. This is my favorite dish from the evening. 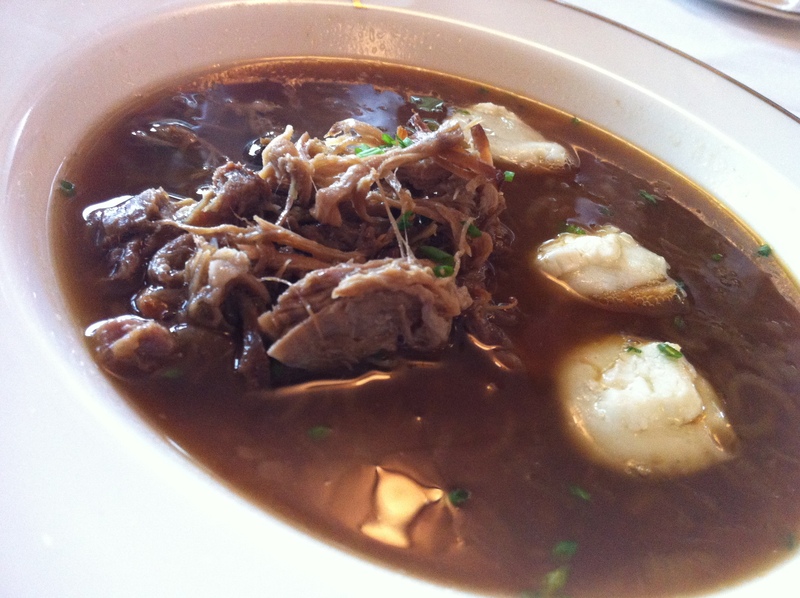 Wild boar initially put me off, but the rich, smoky flavor complemented the duck broth and salty cheese croutons perfectly. The chef explained that the boar was brined and smoked for 5 hours. The spring onions used in the soup were grown locally. Sitting atop a bed of organic greens from Graber Farms, a local organic grower, the garlic marinated quail looked a bit intimidating. I try not to think about the little bird and what it looked like before it ended up on my plate, but the small bones made that difficult. 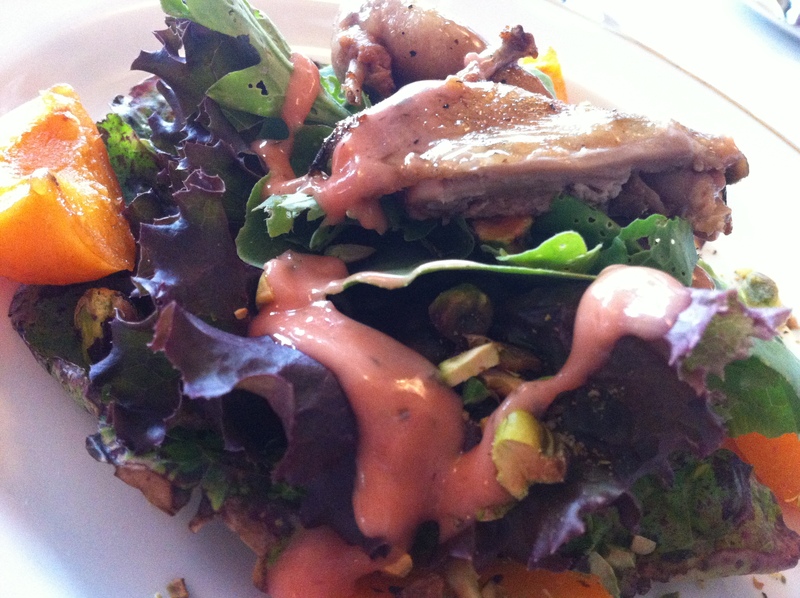 I did enjoy the flavor of the meat, combined with the grilled apricots and white balsamic strawberry vinaigrette. The pistachios were a nice touch, adding a bit of salty crunch. There really are no words to describe this dish, but I will try. The chef explained that venison is best served rare, and though I have never had venison before to judge, I enjoyed the temperature immensely. 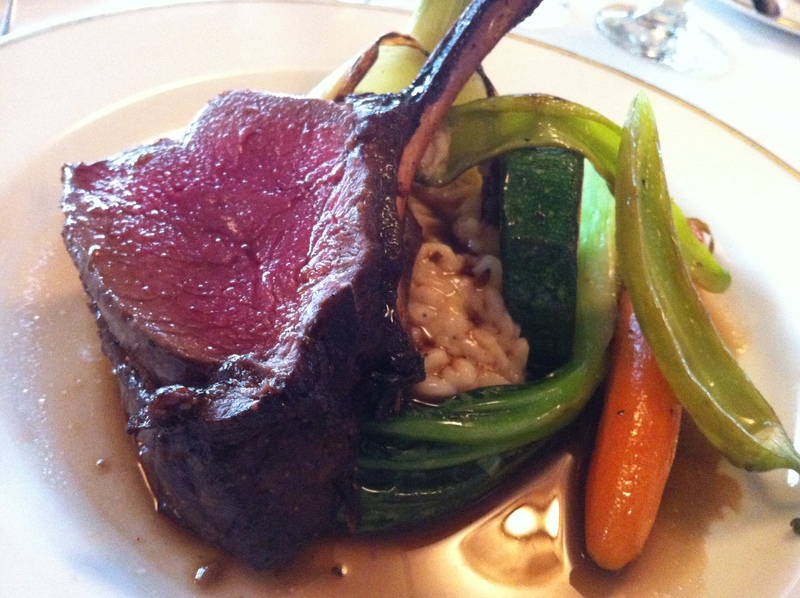 Tender, juicy and thick, the venison was served with lavender risotto, bok choy, and assorted summer vegetables. The entire dish was drizzled in Cabernet-lavender au jus. I was so full by the time dessert rolled around, I could barely manage a bite, but I of course, I did. The raspberry macaroon was phenomenal. Jon and I agreed that it’s one of the best desserts we’ve ever had. 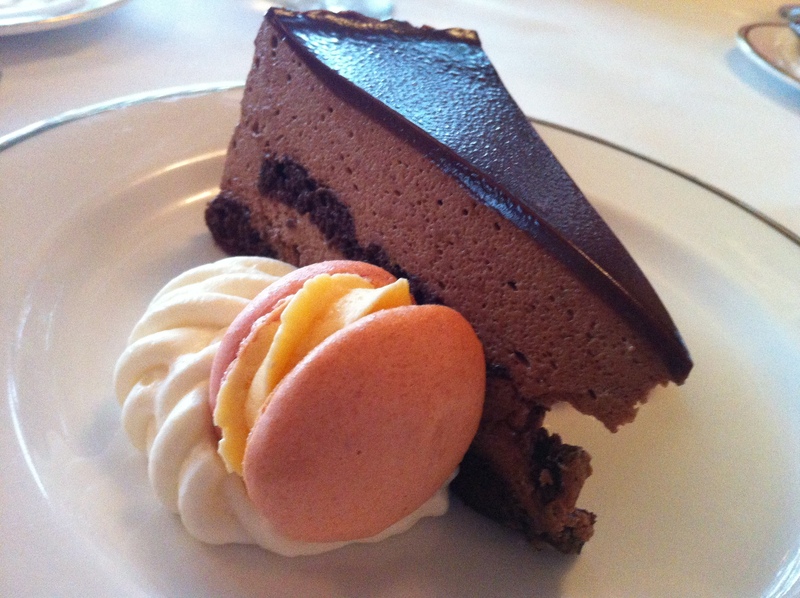 The chocolate mousse tort was excellent and I especially liked it combined with the tart rhubarb compote. I encourage you to keep your eye out for the special dinners the culinary school organizes. They run January through April. You will not be disappointed. Aww, look at this cute little guy. I can’t believe you. What a fantastic sounding meal.